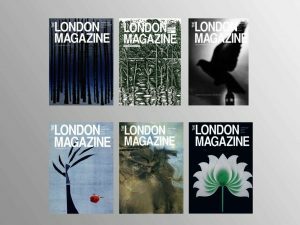 For those who want to be able to access The London Magazine wherever they go but love the feeling of a book in their hand. With our premium subscription, you get to enjoy your copy of our bi-monthly print magazine automatically delivered straight to your doorstep in time for the issues official release date. Along with this, you will also have access to all our online articles. 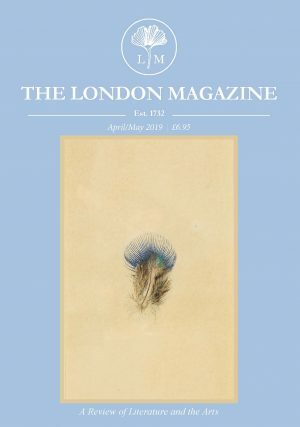 The London Magazine has been home to some of the most influential writers and is simply an inexpensive, indispensable addition to your reading list. 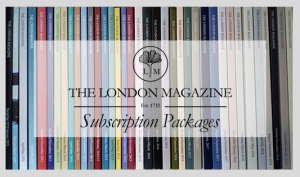 Invest in our premium subscription for simply £5 more than our classic subscription, and keep up-to-date with the latest literature whilst also having a browse through our greatest past pieces. Join the conversation, and become a subscriber now! Available as either a 12 or 24 month fixed subscription. Print issues will automatically be sent on or before the release date of every bi-monthly issue. You can cancel your subscription at any point, at which stage we will cease sending you print copies of our latest issue(s) & we will not renew your term. By becoming a subscriber, you consent to your full name, delivery address, and email address being used in regards to your subscription(s) and services with The London Magazine. We do not hold payment details. Your account & personal information listed above will be removed up to one year after your account expires to give you the opportunity to renew at a later date. 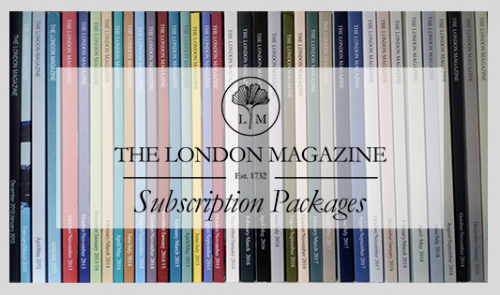 If you have any further enquiries or issues regarding any subscriptions or shop items, please contact us at subscriptions@thelondonmagazine.org – we are always happy to help! Please allow for up to seven working days to activate your digital access, where you will be sent a start-up email to the email address provided at the point of purchase. Our digital archive is managed by Exact Editions©. Only your subscription ID and expiry date will be shared with Exact Editions© for the purposes of providing you with your digital access. We will not share any further personal information with Exact Editions© unless authorised by the subscriber. To the fullest extent permissible by law, we accept no liability to any user for any loss or damage, whether foreseeable or otherwise, incurred by use of Exact Editions© electronic services, site or content. You can cancel your subscription at any point, at which stage we will cease your digital access & we will not renew your term. Postage & Packaging is included in the subscription price. Postage is sent standard second-class, with a 2-5 working days delivery time for UK, and 5-7 working days delivery time for EU & RoW. It is your responsibility to make sure that we have your current delivery address, and notify us of any changes. We cannot offer refunds for goods delivered to an incorrect/outdated address. Unfortunately, we do not accept returns for refund or exchange. If your mail is automatically returned to the seller, we will suspend your account and attempt to contact you for an updated delivery address. Your account will remain suspended until we receive confirmation of delivery address which is your responsibility. We cannot offer refunds for goods delivered to an incorrect/outdated address. Unfortunately, once payment is complete, we cannot offer a refund for the subscription. You can cancel your subscription at any point, at which stage we will cease sending you print copies of our latest issue(s) & we will not automatically renew your term.